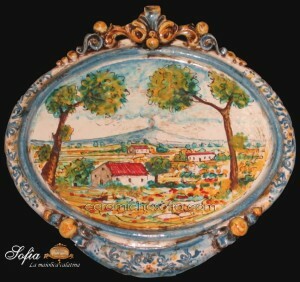 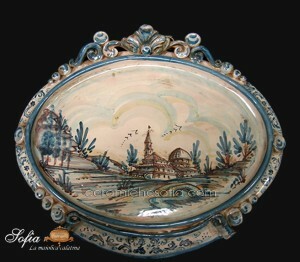 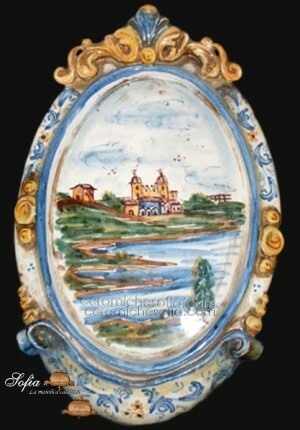 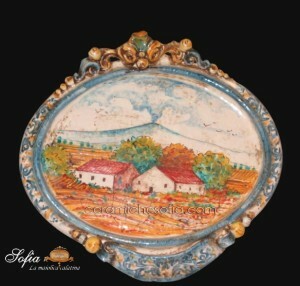 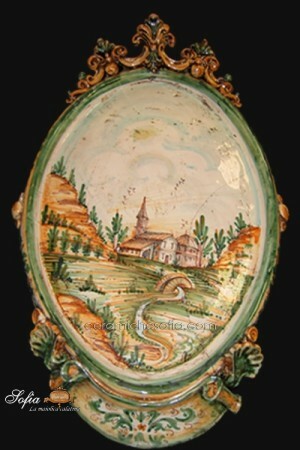 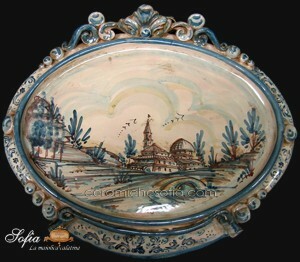 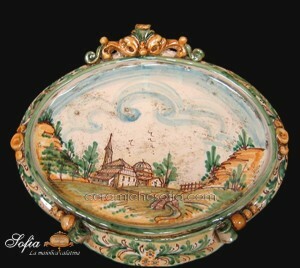 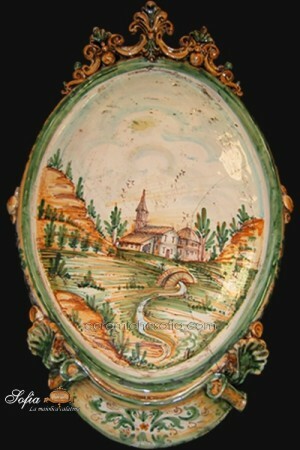 Ornamental oval with the representation of a landscape. 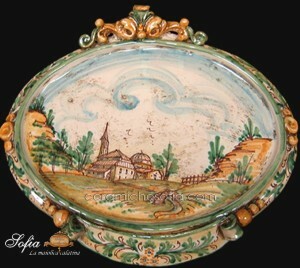 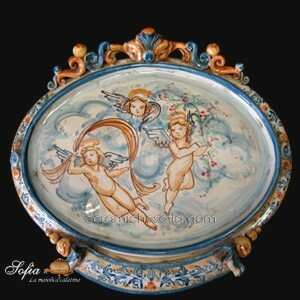 The oval is hand decorated and moulded. 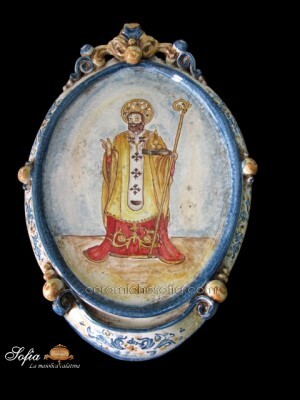 Ideal to be hanged on walls.